Gorilla trekking tours, wildlife safaris, volcano hiking and canoe trekking experiences and many more! Investing 25% of our revenue in local communities. Bamboo Ecotours is a low cost, locally owned, and social consicious tour company based in Uganda. that offers gorilla trekking tours, wildlife safaris, volcano hiking and canoe trekking experiences. Our tours are targeted towards the western Uganda circuit especially Queen Elizabeth National Park, Murchison Falls National Park, Bwindi and Mgahinga gorilla parks, Lak Mburo National Park, Lake Bunyonyi and Lake Mutanda. 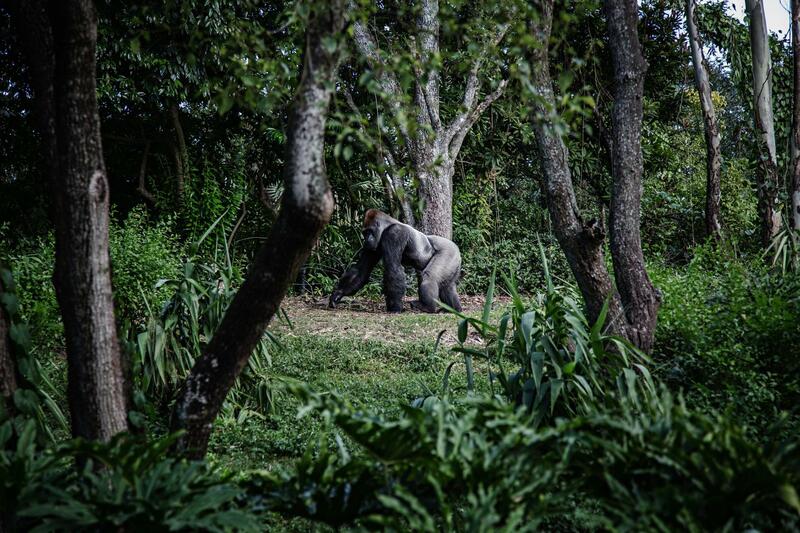 Our approach to travel is unique in that we link travelers to spectacular wildlife (gorillas, chimps, wildlife viewing), authentic cultures, and unforgettable travel experiences that directly benefit the traveler and the local communities. We invest up to 25% of our incomes directly into community projects such as building schools, water catchment systems and health centers. Thank you Tom for such a wonderful review! We are so grateful you decided to have Bamboo Ecotours to plan and execute your trip. We enjoyed having you around, and we hope to host you or your friends again in the near future. Regards, Edison & Bamboo Ecotours team. Thank you Kristen for such a wonderful review! We are so grateful you decided to have Bamboo Ecotours to plan and execute your trip. We enjoyed having you around, and we hope to host you or your friends again in the near future. Regards, Edison & Bamboo Ecotours team!